1. Compatible for EPSON, CANON, HP, BROTHER desktop inkjet printer, widely used in various series printer of high speed or low peed. 2. Colorful and fluently, excellent stability super compatible ability, which never damage the printhead. 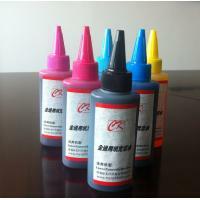 Packing Specification: 100ML/bottle, Customized packing is optional.